I never appreciated how much I loved hair when I was younger, I tried to keep up with the trends but most of the time it was just a long hot-arsed mess that I tied in a knot on top of my head. My Obsession started with the words: “Beverley, you have Cancer”, I remember feeling shocked and wanting to run away as fast as I could, but the words kept coming… surgery, chemotherapy, radiotherapy, drugs…. hang on CHEMOTHERAPY??? Oh god I’m going to lose my hair! I should have been thinking about the cancer, the year I had ahead of me, that I needed to beat this… but all I thought about was my hair. The chemo date was set and the countdown began, I was told my hair would fall out quickly and details given to me for the NHS wig service. Now, I owe my life to the NHS and won’t hear a bad word said about them….but would I want to walk around in a synthetic NHS wig?… NO I would not! I booked myself into a London wig shop, it was the kind of place you go when you are planning a big night out or want an image change. I remember walking in and the sales assistant asked what special occasion the wig was for? “Cancer”, I said. Her face dropped (I should have played along making up some fancy night out, but I was nervous). After trying on about 20 wigs in all different colours, lengths and styles I chose three. One of them I just loved, it was the kind of style I was never brave enough to have (a bob with a fringe that was longer at the front). A few days before my first chemo, a friend of mine took me out to the cinema. This was the perfect time to wear my wig, check that no one stared at me. So I scrunched all my own hair under the wig and off we went, I felt like a super star! My hair looked amazing, I felt amazing and my obsession began. Of course the day came when I woke up to find half my hair still on the pillow, the other half hanging on for dear life! 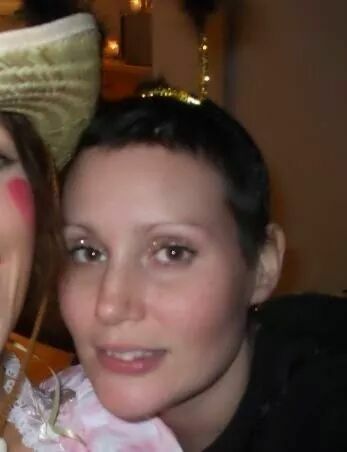 The clippers were out and the remaining hair was gone, now for most this would be a terrible day…but for me it was so exciting for two very big reasons: number one the chemo was working, number two (and slightly more exciting to me) was that I could wear my wig! Of course I did walk in the same shop the following week, with a different wig. The same shop assistant looked at me, then served me with no eye contact nor a word spoken, I guess the penny dropped. Now there are many reasons why wigs are amazing, you just shake them and they fall perfectly back into their style. There is never a bad hair day, if you fancy a change you just chose a different wig and if you feel sad you treat yourself to a new wig, no hassle curling or straightening before going out. Eventually, my Oncologist said my hair will start growing soon (he said this with a smile). WTF? No not my own hair, I love my wigs! I could not stop thinking about my real hair, should I just keep shaving it off for the rest of my life? My hair grew and the wigs were no longer comfortable so I swapped them for very large flowers on headbands while my hair did crazy styles as it grew back resembling a wire haired dachshund that had an electric shock… it was uncontrollable. This went on for some time. My collection of flowers was immense and people at work referred to me as the girl with the flower! As soon as my hair was long enough and strong enough I started having hair extensions. I was so happy, I no longer looked like someone that either had no style what so ever or someone that was recovering from cancer. 6 years on (and in remission) and I’m obsessed with my hair, other people’s hair and I really do believe, life feels better when you have great hair!